Smart contracts platform Symbiont has teamed up with Centre for Research in Security Prices (CRSP) to help Vanguard improve the distribution of index data, reports Julie Muhn at Finovate (Banking Technology‘s sister company). This partnership will allow index data to move between index providers and market participants in real time over a single, decentralised database. The project, which has been in a testing phase for the last several months, delivers the data over a blockchain and automates the workflows using smart contracts. The result is threefold: it expedites data delivery, eliminates the need for manual updates, and reduces risks. The groups expect that CRSP index data delivery and intra-day updates over the blockchain will be available in early 2018. Symbiont was founded in 2015 and offers three products, each of which leverages the blockchain. Symbiont Assembly offers a single, global accounting ledger, Symbiont Secure Channels is a mechanism for sharing confidential data, and Symbiont Smart Securities is a platform that models the complex states and interactions for financial instruments. Earlier this summer, the company closed an undisclosed strategic investment from China’s Hundsun Technologies. 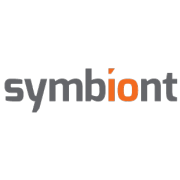 Headquartered in New York, Symbiont has a total of $7 million in funding.